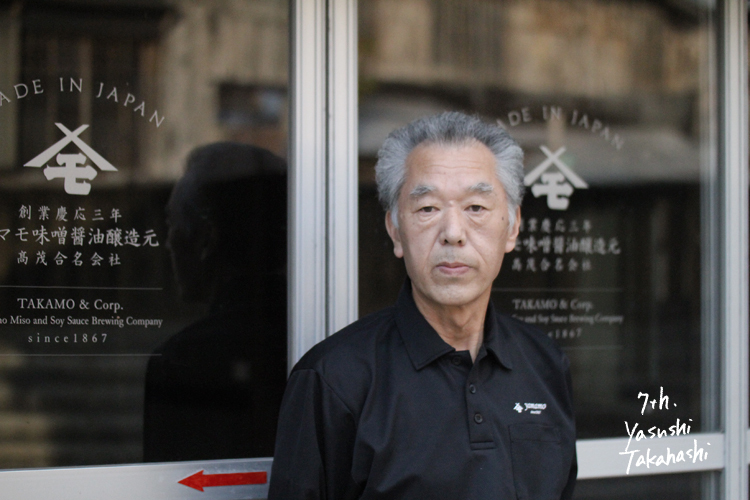 “Calm” is the first impression that I had towards Keizo Inoue, Sales Manager of Yamamo. Since I was a child, he has been working for Yamamo and has many fans. He is the person of proven worth. “People call me Mr.Yamamo when I was in town.” Said Inoue. He is Yamamo’s human billboard. Listening is the way he communicates. Words are too limited to describe his atmosphere. I think local food remains “doughnut factory”. It has been filling workers’ stomach with cheap and casual food. That is the reason why local food is taken over from generation to generation. Localness and food should be respected because there are always professionals that loved by the community. Inoue is the man in Yamamo. This sounds may too much, but he seems to know local mind. Coworkers says “People buy things when Inoue goes.” The craftsman born and grow up in this land exists and supports local meal at dining table. The man of "active service." 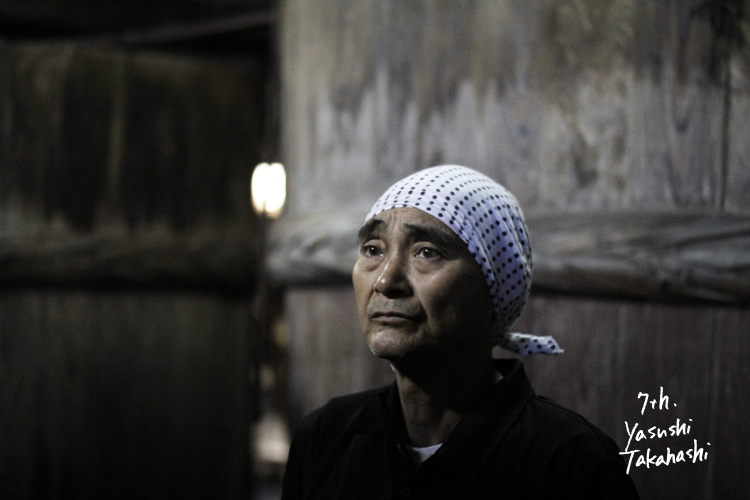 He is a craftsman of a Yamamo senior and is a "chief brewer." I think that it is important for "brewing." Therefore, I and he can continue exchange of opinions, even if there is a difference of the age like parent and child. He has abundant technology and experience. And he can respond to things new flexibly. Every year, I try new technology on brewing. He consents it readily. And he is a person who brews seriously. Therefore, I might be scolded by him. The craftsman of the process of "brewing" itself must be honest just because it is fermentation maturing which takes time slowly. Fermentation technology of Japan progressed over much time. A craftsman's ideas and principles and the argument with a friend are important more than needed. Simultaneously with it, he is a mood maker. It differs from an old silent craftsman's appearance. I explain new technology to him and brew. He works by respecting my idea then. He said, "Seniors were fearful when I learned brewing." He understands a youth's uneasy feeling to be the importance of experiencing. He seemed to have admonished the importance of continuing with future. 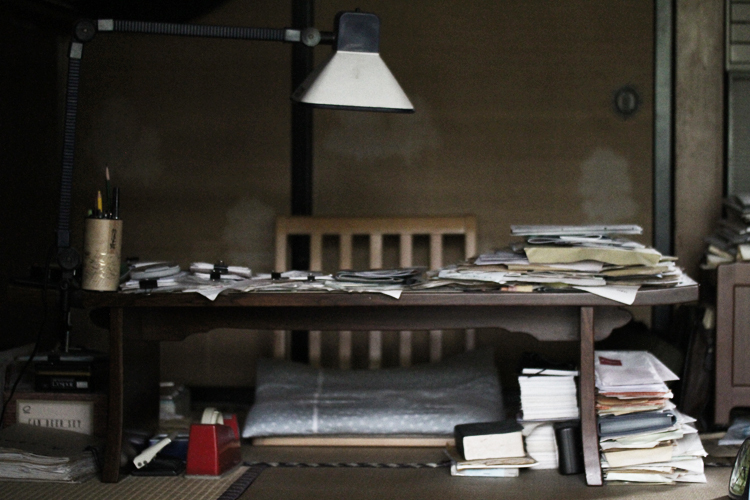 I would like to make an old craftsman into the place which can consider the further future in the present environment. Since he is pleased with it and accepts new work, he has such knowledge rather than whom. And he was continued as our craftsman until now. We praise the distinguished services in which his past is great. On the other hand, we expect him as a craftsman who can reform it simultaneously. Yes, "active service" always suits him. He is a Representative Director of "Yamamo miso soy sauce brewing former / TAKAMO & Corp.", and he is my father. After it takes over one's family's business, I am calling him not father but a president. He true doesn't have a lot of numbers of words. I think that he is speaking unlimitedly in neighbors and the daily conversations. Only it is fluent not to understand where the word to was derived. However, it is still different. The president has still installed something in the belly. So that it visits for me immature and it is not possible to know. He seems by diplomatic person in seeing for the first time. Actually, we notice that he is making remarks on the other party sympathizing. And, it is taught that having placed in the belly is what it guesses. The concept "Guess" is the one taught to "President" after it comes back here so. And, I believe that it is very important. I respect the president. It is because the geniality is felt in the deportment and conduct in an important place of an important person. I think the above all extraordinary and largeness as "Gentle person". The time that he has spent as a president is not smooth. I have vaguely felt that in the childhood. However, I have not thought his whine to be worth once. And, it will not see in the future. Even if glasses of family are removed, I feel the size of mensural and the container in him. He is stricken and defends everyone by all means strongly. Ashamed of the family it is shadowed also even of where. It is more difficult to work with the family. I dare to say, "I am working to see the face with which he is pleased" at this chance. "Guess" will be said by someone if it does from the current context. However, I strain courage and say. "I want to work with the president. " Representative Director's study is only the usual document. I think that atmosphere who seems to be the president now though it became accustomed to it fed up with it. And, this air feeling can not be made for someone. It is thought that here is a president very thing and I feel "Suitable good" somewhere. Bunch of the memo paper that cuts the backing sheet of the plinth and the advertisement of the vermilion of the Scotch tape and makes it and the pen case using the can of the tea leaf, and square cushion and seat chairs of which it fades away. He tries to multiply spectacles for the aged by the undergarment appearance against the backdrop of the light beige color sliding door, and counts sales here every day. Man's study is as such. Here is a really wonderful place when thinking like this.